Opera Singers as Gabriela Kopperová or Daniel Klánský. Historically Protected Hall in Old Town. Exceptional Cuisine. Start: 7 pm. Door open: 6.30 pm. Ordering drinks before the first concert by: 6.50 pm. 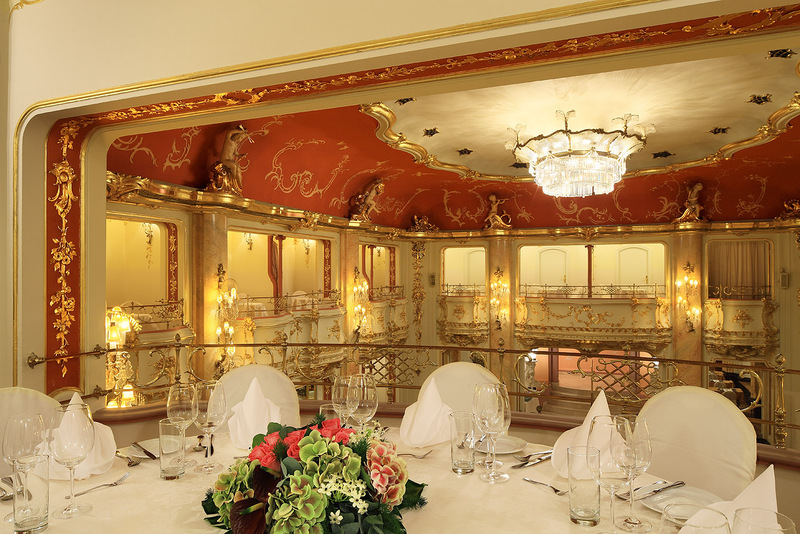 You can newly order a luxury 4-course Gold menu when buying tickets to the exclusive balcony boxes. It includes unlimited consumption of wine, beer, soft and hot drinks. 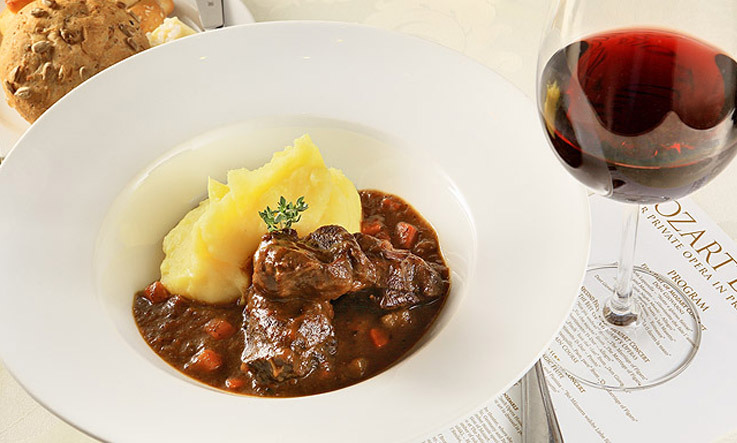 Each course is also paired with suitable wine. You can order it at least 7 days before the event. “The Marriage of Figaro “and “The Magic Flute”. The opera pieces will be presented by brilliant musical ensemble, Prague Chamber Soloists, made up of two opera singers from Czech Opera Houses (for example Gabriela Kopperová or Daniel Klánský) and instrumentalists from the Prague Radio Symphony Orchestra, Czech Philharmonic Orchestra, Salzburg Chamber Soloists etc., who perform their art dressed in period costumes. Enjoy high quality Mozart concert in the center of Praha! Historical Hall in Mozart´s Period Atmosphere. 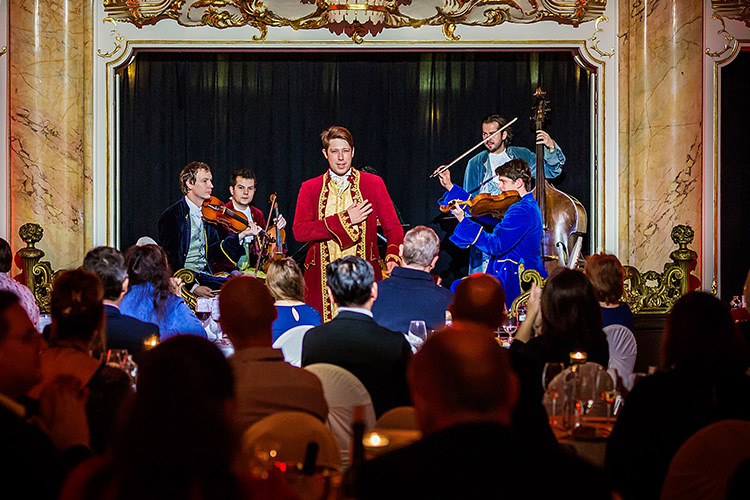 View video of Mozart Dinner to get better idea of this high quality event in the heart of Prague!